What does the month of October mean to you? For people in the Southern hemisphere is means fall festivals, pumpkin spice latte's, and slightly cooler weather. For our local New Orleanians we will be pulling out our jackets and scarves. October means something a little different to our team, because October marks National Orthodontic Health Month. During October, orthodontic clinics all over the country work together to promote their services and inform the community about the important work we do. Scaffidi Orthodontics will be reaching out to Grace King High on Tuesday October 25th to bring awareness to the positive effects treatments have on your overall health. Braces are made of bands, wires, and brackets. They gently move teeth into the right position. This can fix the way you bite together. There are different types of braces. The most common are metal or plastic brackets attached to the front surface of the teeth. Some patient can also be considered for Invisalign, a new patient exam at no charge to you would determine the best treatment available to you. Call us at 504-468-6200 to set up your no charge consultation We look forward to seeing you and your family this October at Scaffidi Orthodontics. You may be familiar with the statistic that says 1 in 8 women will develop invasive breast cancer. Many people misinterpret this to mean that, on any given day, they and the women they know have a 1-in-8 risk of developing the disease. That’s simply not true. In reality, about 1 in 8 women in the United States — 12%, or about 12 out of every 100 — can expect to develop breast cancer over the course of an entire lifetime. In the U.S., an average lifetime is about 80 years. 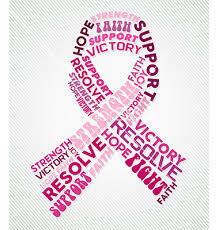 So, it’s more accurate to say that 1 in 8 women in the U.S. who reach the age of 80 can expect to develop breast cancer. In each decade of life, the risk of getting breast cancer is actually lower than 12% for most women. Early intervention is the most important key to proactively treating any illness. The more aware you are with the signs and symptoms, the sooner you will know if something seems different. So, ladies get your yearly check-ups, do your self-breast exams frequently, and be in-tune with your body! Over the course of the last decade while working in dentistry we have realized that customer service is the lifeline to your practice's success. Patients want to feel like more than just another set of teeth! As an orthodontic patient the commitment is a long one, sometimes a couple years of coming in month after month for adjustments. So they should feel comfortable and welcomed. Below are some of the guidelines that all of our staff take into consideration when they are getting to know new patients, or even established patients. Always greet your patients by name. Engage in personal conversation so you can connect with him or her on a more intimate level. This makes your patients feel as if you are not only their orthodontist, but also a friend. 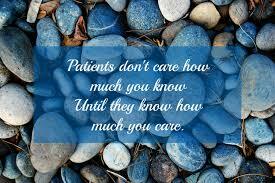 This does two things; it makes your patients feel special and increases their loyalty to you and your practice. Take the Time to Answer Questions- Even on a busy day, spend adequate time with each patient and answer questions about their teeth and/or treatment. No question should go unanswered. Treatment options and financial commitments can be overwhelming at times, if a patient is investing their time and their money they should feel confident about the treatment they are receiving. If you perform a complicated procedure on one of your patients, remember to call the next day to see how he or she is feeling. Try to remember special dates. Everyone has a birthday that you should recognize. This recognition reinforces the idea that your patients are important to you and are much more than a mere number. When you and your staff show your patients genuine empathy and good communication, you make it clear that your patients are not just your livelihood, but they are like family. This can have a profound effect on the growth of your practice. You will quickly develop a patient base that is loyal, trust the care of their family and friends to you, and accepts your recommendations. We are striving to provide all the above to our patients at every appointment throughout the entire course of treatment! Because our patients are so special to us we are announcing our upcoming Patient Appreciation Day. From 2-5 pm on June 10th at our Lakeview location our staff with be out in their Scaffidi shirts serving sno-balls. We will also have a foam pit for your enjoyment. Please come out and spend the afternoon with your favorite orthodontist and his staff! 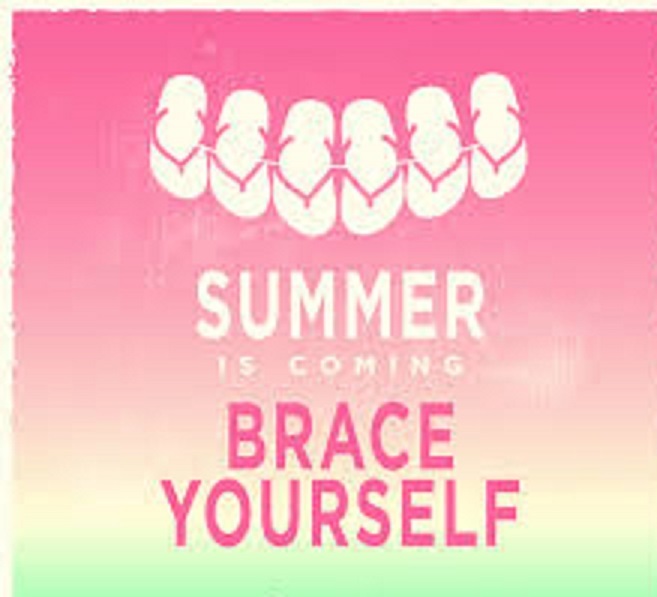 Summer time is drawing near and our children will be gearing up for no homework, pool parties, and sleepovers! If you and Dr.Scaffidi have been discussing treatment options, summer may be the perfect time to get started. Below are some advantages to starting your child's treatment before the new school year starts. With the more flexible schedule that summer allows, it makes it much more convenient to consult an orthodontist if there are issues or concern that arises after treatment has begun. If children need to be brought in to make adjustments or need to attend frequent appointments, they don't have to miss valuable school lessons. Parents will have more freedom to set up appointments to work around their work schedules, without the additional pressure of working around both their own and their children's school schedule. During the school year, waking up and getting ready is a hectic bustle. Bed times are imperative to assure the next day goes smoothly. This makes it difficult to add in the additional time it takes to adequately care for your new orthodontic appliances. The first few weeks of having your braces takes mastering. You will need an extra five to ten minutes each morning and evening to brush and floss so that your teeth and gums stay as healthy as they were before treatment began. Using the summer months when our routines are a little more relaxed can help develop thorough habits that will last the entire treatment time. By the time the new school year begins, the additional effort and care will be just a regular part of their daily routine. 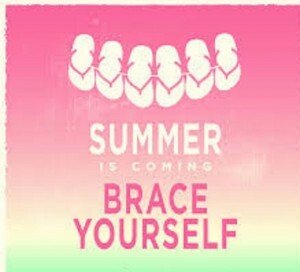 While it may seem trivial, summer is also ideal for beginning orthodontic treatment because there is less peer stress. Kids can be rude and say offensive things; adjusting to a new set of braces can cause some soreness, ulcers, temporary lisps in the speech, and sometimes excess saliva. While most children adapt immediately to these changes some can take a few days. Removing the possibility of a stressful situation at school can help your child feel more confident about the process of starting treatment. Adjusting to the changes in diet that are dictated by beginning orthodontic care can be difficult when "no-no" foods are being served for lunch at school. Kids may be more tempted to ignore the advice of their orthodontist and indulge in their favorites if they are readily available. Beginning in the summer allows kids to get used to the changes in diet so that they will have more practice avoiding the temptations when offered some of those "no-no" foods offered by their peers in the lunchroom.